Four bedrooms and three bathrooms! Low HOA Dues! Low Mello Roos! Cul-de-sac location! Single Family Residence with high ceilings and double doors! That covers the listing description. It’s a tri-level old and dated property in need of incredible amounts of TLC. Some people actually like buying properties with character and a little bit of history rather than invest in yet another sparkling new perigraniteel dream sold by The Irvine Company. It backs to the busy Culver Drive. According to some veteran Irvine residents, homes close to Culver Drive are blessed with the white noise of a smoothly flowing river. That covers the initial analysis based on MLS pictures. Reality is a property can be listed at any price the seller and his agent deem appropriate, and it sells for any price the buyer and his agent deem appropriate. So what have buyers paid for a similar property in the same village in 2011? What’s the property in question listed at? At $283/SF, it might very well sell within the listed range. A newer house with similar monthly fixed expenses would be most probably a detached condominium, with a much smaller backyard and higher Mello Roos and HOA dues. Similar river noises are offered at a newer house on the other side of 5 with TUSD schools with Irvine addresses. 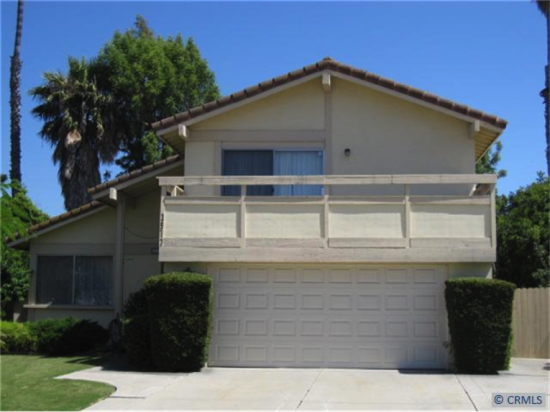 It went into escrow within days of being listed (lower listing price as well). This detached condominium has all the bells and whistles associated with a newer property , but it’s smaller, and has higher HOA dues and Mello Roos. Would you invest in an older property like this in need of work? Would you buy a newer property that will be move-in ready? Comment below, or discuss at Talk Irvine. This entry was posted in Real Estate Analysis on September 17, 2012 by Cubic Zirconia. Culver is far from the white noise of a smoothly flowing river. The stop and go of buses, motorcycles and noisy trucks is too random and jarring. I would never choose to live next to Culver again… but that’s just my opinion.